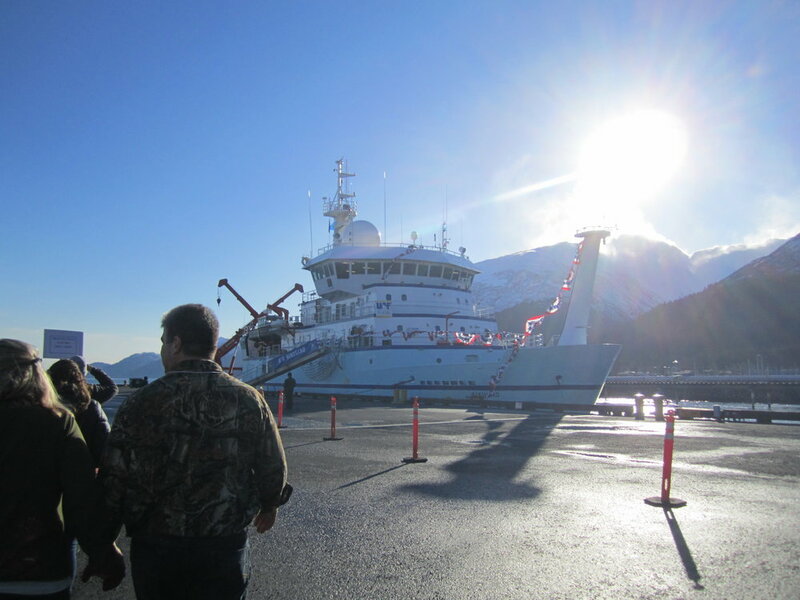 The NSF's newest ocean-going laboratory, the R/V Sikuliaq, last week arrived in her home port of Seward, AK. As part of her welcome home, the ship was open for public tours. PFS science project manager Christie Haupert (who has a marine science degree from MIT/WHOI's joint program) toured the vessel and stayed for the commissioning ceremony. Happily, she took some gorgeous shots. To read more about the R/V Sikuliaq, read this WHOI Jurassic Magnetism blog post. The University of Alaska, Fairbanks, will operate the ship under cooperative agreement with the Foundation. To read captions, click on each picture.